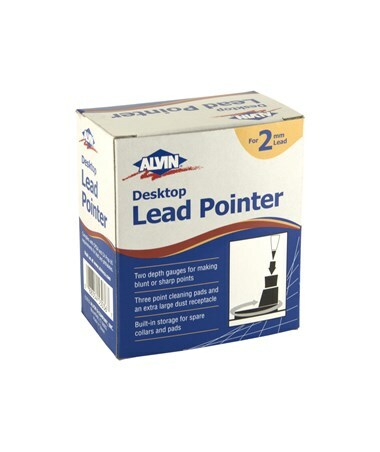 The Alvin Desktop Lead Pointer is an ideal tool for school, office, studio, or workshop. A versatile and functional lead pointer, it features four interchangeable collars to accommodate various lead holder diameters. 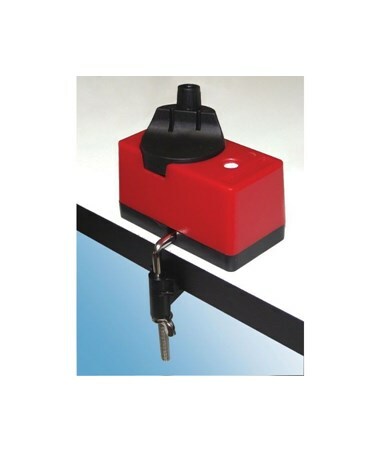 It comes with a clamp to allow convenient and secure mounting to tables with up to two-inch thickness. The Alvin Desktop Lead Pointer measures lead extension for blunt and sharp points with its two point gauges in the turret. It includes an extra-large dust receptacle for high-volume sharpening and three point-cleaning pads to ensure smooth, precise points. 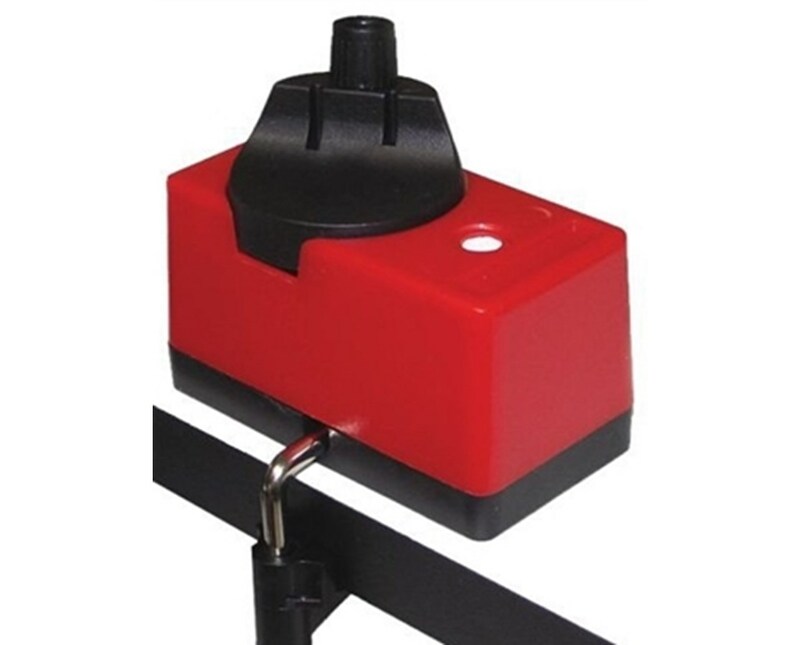 With a built-in storage for spare pads and collars, it is compact and easy to use. 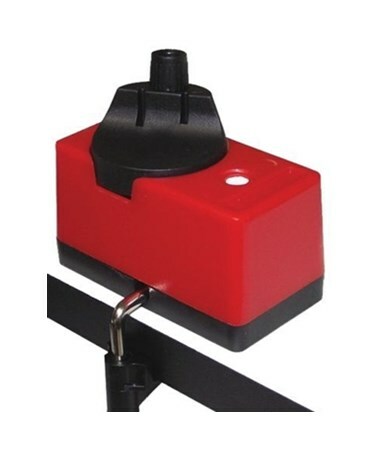 It is made of durable plastic material and comes in red color.